Every Christmas, our staff choose a charity to support via donations of money, food items or gifts. 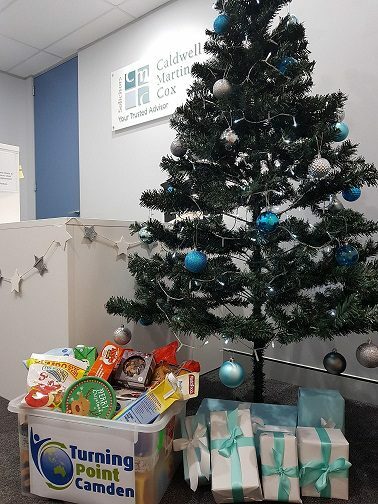 Past recipients have included gifts for children under the Kmart Wishing Tree and hampers for families via the Caring for Wollondilly organisation. This year we’ve chosen Turning Point Camden, a charity that supports people going through difficult times because of mental illness, domestic violence or social isolation. Food shortage is the main support service that Turning Point provides and 170 local families a year receive help with emergency food relief. Christmas is a busy time for the charity. No one should go hungry at this time of year and we hope the donations collected from staff at our 4 offices will go some way towards alleviating hunger and providing a nicer Christmas for families in our area.